On December 1, SLOCO is hosting a Sing Through and Welcome Party at Basingstoke (5 Herman Drive, Simsbury). We will have a potluck dinner at 6pm, followed by a sing through at 7pm. The sing through is for the whole cast - principals and chorus. There will be no dialogue. We just sing through the whole show, on book. If you need to purchase a score, here is a link to the score we use. Additionally, if you use this link, SLOCO gets a small percentage of the sale. Contact Emma Leona, Stage Manager, with any questions or to RSVP by November 24, as to who is coming and what dish you are bringing. We are still seeking Rapturous Maidens and Dragoons. Please feel free to join us! Renee Haines of Southington has been selected as artistic director for the Simsbury Light Opera Company’s 2019 production, Gilbert & Sullivan’s “Patience,” the company announced. Haines is a Simsbury Light Opera (SLOCO) veteran who has played principal roles in nearly all the Gilbert & Sullivan operettas. In 2016 she played Aline in SLOCO’s “The Sorcerer.” Currently she is cast as Yum-Yum in “The Mikado” with Connecticut Gilbert & Sullivan Society. She is also a former president of Connecticut Gilbert & Sullivan. “Patience” will be performed in Simsbury in spring 2019. Auditions will be held October 28 and 30 and will be open to the public. More information is available at www.sloco.org or on SLOCO’s Facebook page. ​The Simsbury Light Opera Company, established in 1945, is the oldest active amateur theater company in Connecticut and one of the oldest Gilbert & Sullivan companies in the United States. In addition, the company selected Patience as the Spring 2019 show. The Simsbury Light Opera Company is seeking an artistic director for our 2019 production of Gilbert and Sullivan’s Patience. Our company favors a more traditional, period specific staging, therefore, a working familiarity with the Gilbert and Sullivan repertoire is preferred, but not required. Must have strong communication and time management skills, as well as be willing to collaborate closely with both our musical director and production team to bring our show to life.. Auditions are in Late October, with rehearsals 3 days a week beginning 1/27/19 with a late spring performance. SLOCO is an amateur theatre group based out of Simsbury Connecticut. 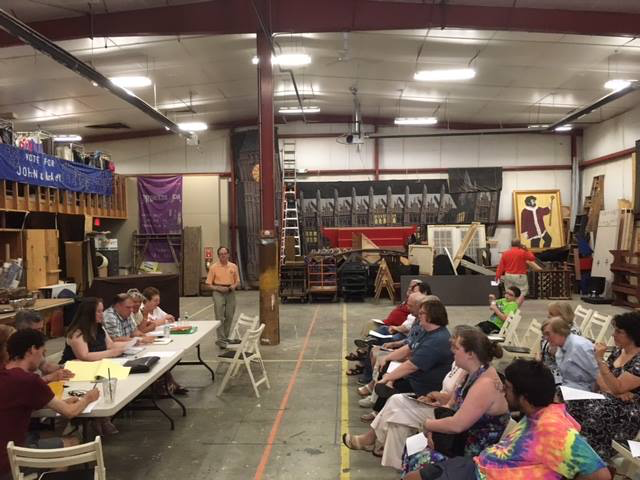 Entering our 74th season, we are a small group with great heart and a fierce passion for bringing the works of Gilbert and Sullivan to life. We have a long history and strive to continue in a tradition of musical and theatrical greatness. If joining our merry band sounds like a dream come true, please submit a letter of interest and resumé to TColby@sloco.org no later than August 10th,2018. Interviews to be held August 13th-20th. Stipend to be discussed upon interview. As the Spring 2018 show. Stay tuned for audition and ticket sale information. The SLOCO annual meeting is on June 11, 2017 at 2:00 p.m. All current members can attend and vote on the Board, Officers, and next year's show. Simsbury Historical Society is holding its annual garden party on June 3, 2017. SLOCO will be singing at 1:00 p.m. For more information, see here. Tickets for Iolanthe are now on sale! Click here for more information or to buy tickets online.